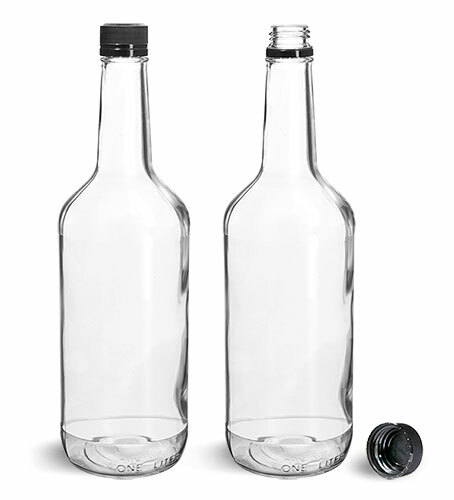 These clear glass bottles allow the end user to see the exact product they will be purchasing, which is important when packaging consumable goods. The tamper evident seal also gives piece of mind that the product has not been altered. 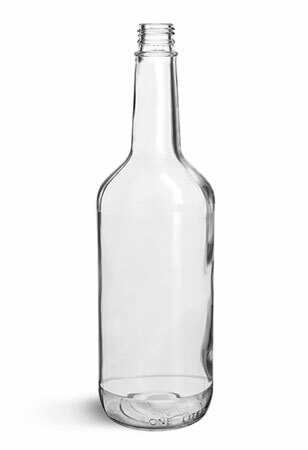 These 1 liter clear glass bottles are paired with unlined black polypropylene tamper evident caps. Each one of the caps features a frangible ring attached to the bottom of the cap skirt. Once the cap is secured to the bottle, the ring will break away from the cap and remain on the lip of the bottle when the cap is removed. The components cannot be reattached once the connection is broken. These bottles could be used to package liquors, wines, or oils.